Being one of those eternal constants of life alongside death and taxes, disappointment has been an inseparable part of Star Wars (like countless other franchises) since the very beginning: many of those who enjoyed A New Hope were turned off by the darker turn taken by The Empire Strikes Back and welcomed the comparatively joyful Return of the Jedi, while more modern critics and audiences are often inclined to have quite the opposite reaction. The prequels are even more divisive, ranging from those who wish they’d never even been made to those who consider them vastly superior to the Original Trilogy. Reception for entries in the Expanded Universe span a veritable roller coaster of reactions. Significant events, whether they be on screen or transmitted through the written word, are even more likely to arouse controversy and outrage, especially when the matter of major character death arises. 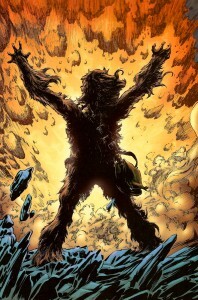 Chewbacca and Mara Jade Skywalker come to mind, to say nothing of the wailing and gnashing of teeth that will undoubtedly happen when the Big Three finally bite the proverbial dust. But, of course, a universe in which nothing ever changes and nobody of importance ever dies is hardly reasonable or suspenseful, either. So why is it that we’re so frequently disappointed by the products we buy, and what can be done about it? They dropped a moon on Chewbacca. People didn’t like it. Now he’s come back to life. People didn’t like that, either. I must advocate the adoption of traditional comic book logic for all such cases in the future: they’re not dead until you see the body, and if they’re important enough for you to care if they’re killed off, they’re definitely coming back to life later. In a word, nothing. Anticlimactic, I know, but also true. Disappointment is fundamentally an issue of unmet expectations, when a work fails to deliver on what it has promised, or at least what the audience has come to expect, or is unable to do so at the level of quality that is being demanded. But, after an honest assessment, I really have to question whether it might just be the case that our expectations are higher than is warranted under the circumstances. It’s been a very long time since George Lucas dreamed up A New Hope all those years ago, and both his vision and the franchise it spawned have come a long way since then: the latter isn’t even in his control anymore, and so the former has little bearing on the future. It’s important to recognize that any purity of essence Star Wars might have once possessed was irrevocably diluted long ago: what we have on our hands now is a sprawling international multimedia empire nearing four decades in age with everything good and bad that that implies and entails. Two simple words encompass at least eleven known films (with more likely to come) – remember when six was all we thought there would ever be? – and countless novel, comic, and video game tie-in products, with little tying them all together beyond the fictional universe in which they’re set. Under such conditions, should the Sequel Trilogy play out as a natural and faithful continuation of the Original Trilogy, it’ll be less a matter of meeting expectations and more of pulling minor miracles out of hats. Our eternal quest for consistency among Star Wars releases is the stuff of which nightmares are made, but we refuse to surrender the verisimilitude that it adds to the franchise. It may be, however, that this unholy mission of ours also inclines us toward thinking of every new release as part of a single grand saga spanning millennia: a fictional soup, rather than a platter, in which each part is an inseparable part of a greater whole. Such a perspective does no favors for the franchise or its fans, and cultivates unreasonable expectations that inevitably lead to disappointment. We had to take the nuclear option and reduce everything created up until that point to dust in order to make a clean break from the past and have a fresh start, such was our accumulated baggage. Star Wars does not have a monopoly on new entries being perceived as disrespectful to their predecessors. It might as well be the rule, and there’s no reason to think that we should be the exception to it. There may come a day when filmmakers are moved primarily by artistic motivations and fidelity to the source material: but that day is a long way off. The rules that normally govern a series of novels that all share the same author and are released in something approaching chronological order rarely apply to us. 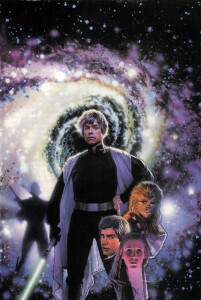 Just look at the likes of Legacy of the Force and Fate of the Jedi, nine book sagas written by three authors with very distinct separate styles (and characters, and interests) in a rotating order. Even more ambitiously, the New Jedi Order had nineteen novels authored by a dozen different writers. There’s a reason you don’t come across many such grand undertakings in fiction: because it’s ridiculously hard to pull off in a satisfactory fashion. That it was received as well as it was stands as a testament to the effort that must have been put into it by so many different parties. Such unusual experiments also serve to remind us that true creative freedom is something that will likely always be forbidden for Star Wars authors. There’s always going to be that sword hanging over their heads to remind them that they’re playing in someone else’s sandbox, using someone else’s characters (and someone else will use their characters, in turn), and that they’re to do nothing of particular significance to the state of the universe, because there are films being made again and they need to have a monopoly on any event that there’s even the slightest chance might one day be adapted for screens big and small alike. But it may be that this mandate of the mundane is ultimately for the best, as Star Wars fans tend to have very narrow ideas about what exactly Star Wars “should” be, and even the smallest deviations still tend to result in complaints that the franchise is being unfaithful to Lucas’ original vision, leaving aside the question of what Lucas’ original vision actually was (to say nothing how dismissive it tends to be of the numerous other individuals who also played significant roles in crafting the saga). It’s a strange thing, to demand such strict fidelity to the format of fantasy space western with psychic monks wielding laser swords, and only places yet another burden on the backs of authors who lack experience with that particular genre (in which we have very little in the way of competition). When one considers the two opposite extremes blended in the making of the universe, fantasy and science fiction, one can’t help but wonder if it plays more than a small role in how frequently so many of us are: that we might be more fans of parts of Star Wars than of Star Wars itself. Disappointment is going to be a frequent occurrence when the aspect you most favor is passed over for something more appealing to others. Nostalgia is a powerful thing: it’s all too easy to excoriate the present while remembering the past to be a golden age that did not, in fact, ever actually exist. If this was twenty years ago, we’d be complaining just as loudly about The Crystal Star or Darksaber or The Truce at Bakura. Remember the weirdness that was entechment? Given the nature of the beast, it’s unfair to pluck examples from other fiction at random to compare against Star Wars products, favorably or otherwise. The best comparisons are those made to other franchises that have gone far beyond their original entries (and creators). Like, say, Kevin J. Anderson’s continuation of Frank Herbert’s Dune. 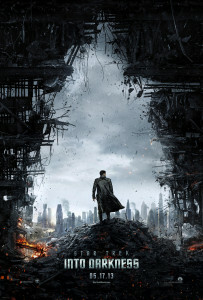 The Star Trek Expanded Universe. Warhammer 40,000 tie-in fiction. BattleTech novels (they even had Stackpole, too). I don’t think that even our most forgettable entries fare all that badly against such competition. Don’t get me wrong, now – like many of us, I wish that Star Wars could be in reality what it is in my imagination, but I have be realistic about the odds of that actually happening. Certainly, we may never reach the heights of fame and glory that some individual authors going it alone are able to achieve, but our offerings are still among the foremost names in the genre, and all while performing competently at keeping them all synchronized in ways that most other franchises don’t even bother to attempt. While one may dislike the way Star Wars novels are being written or the directions in which they go, I don’t think that much disappointment is warranted: our results are still well above the average (keep in mind that the Expanded Universe was essentially the sole custodian of the galaxy between 1983 and 1999, and 2005 and 2015), and while it’s an easy thing to think up ways in which it could have been done better, we can’t exactly point to an abundance of cases in which it has been done better. Much has been made of the Sequel Trilogy’s resemblance to the Original Trilogy, but I must caution against getting too excited over it. J.J. Abrams is not the Second Coming of George Lucas, nor should we wish him to be. Being, you know, a different person with a different background and an independent mind, his perception of Star Wars is naturally going to differ (not just when compared to George, but to us, as well), as will his vision of where the story should proceed from here. The same can be applied to everyone else working on the Anthology films, and all the many authors who will be dipping their toes in the new Expanded Universe from here on. Inevitably, there will be things that people will dislike. Perhaps it’ll be the casting, or the script, or the performances. Elements that don’t interest you may be included to appeal to audiences that they will attract, or to tap into the incredibly lucrative Chinese market that wasn’t there thirty years ago (let’s face it – as long as they hold the power to single-handedly save a movie that underperforms, you’d have to be insane to ignore them). Maybe it’ll be that the Big Three just don’t seem like the Big Three that people remember from thirty years ago anymore. People age. That’s life. But, ultimately, these things are all out of our hands. Worrying about them or getting outraged over every little change or decision amounts to little more than a fruitless expenditure of time and energy that could be spent much more pleasurably elsewhere. What influence we do have amounts to the decision of whether or not to watch a particular film or read a particular book. That’s it. A great deal has changed when it comes to Star Wars in recent years, and perhaps it’s time that we do, too, and take a step back to consider just how invested we should be in the outcome. With that out of the way – as much as I would complain about the giant Del Rey series, they actually did hold together fairly well. I would have been happier if the authors I liked simply got to write a series of books – but I also know that while I really like some authors, others folks really like what other folks did. While it may lead to disappointment for me in some points, it really is a casting of a wider net with wider appeal. And that is something good to remember with the upcoming films (I had never even thought of the impact of the Chinese market – fantastic observation… and frankly I hope Star Wars hits it big over there). It’s good to remember that Star Wars isn’t just for me… it’s for us — and sometimes the other folks in that “us” have different wants, needs, and likes… and its okay if they get catered to a bit, even if something I want isn’t there.